The decision to immigrate to Australia is a big decision for everyone. For those contemplating it one of the first things they do is seek advice from people who have already been there and done it – be they family, friends, colleagues and some cases competitors – about the process and the personal challenges that may await them. This is particularly so for people who migrate under the Business Innovation and Investment Visa Program. The onus on people migrating on the back of their Business Skills is to use their experience and money to get involved in investment or establishing a business in Australia. In the case of Barry Corr, a previous client of mine, he is suitably qualified to provide this advice. Not only has Barry been there and done it himself as a business migrant but in his current role as the CEO of the Irish Australian Chamber of Commerce (IACC) in Melbourne he now helps Irish businesses set up and operate in Australia and connect the Irish Australian business community. On this basis I asked Barry if he could share his story with me. Barry agreed and shared some information about his personal and business experiences and achievements, his role with the IACC, business opportunities in Australia and his Top 5 Tips for business owners or companies considering establishing themselves in Australia. As someone who migrated to Australia with their young family under the Business Skills program in 2007 can you explain what drove you to make that decision to move on from the UK? Was it business or personal? Or something else? Our son, Charlie, was born in 2006 and after that our lives really changed. Having started a business in 2003 and working every hour available to build it, all of a sudden priorities changed for me and my wife who had previously worked in an international clinical trials role. We had always had a thought in the back of our minds to go somewhere new and experience new things. Our friends from Australia did a great PR job and convinced us that was where we should go. In 2007, the opportunity came up to sell out of the business in Edinburgh and move to Melbourne so we took it and haven’t looked back since. The business that you owned in the UK was in recruiting and HR services, and you have done the same thing in Australia with Luminant Talent Consulting and Finance Pro. Was it always your intention to enter the same industry? Or did you consider alternatives? I guess that initially I felt there was enough change pending with the move that I should stick to what I knew best work-wise and while I control both companies, Luminant.com.au is where I spent most of my operational time as that’s where the types of projects I preferred to work in tended to be. More recently I’ve stepped away from that as I’ve increased my involvement in the Irish Australian Chamber of Commerce to become their first full-time CEO with national scope and that’s been really enjoyable. 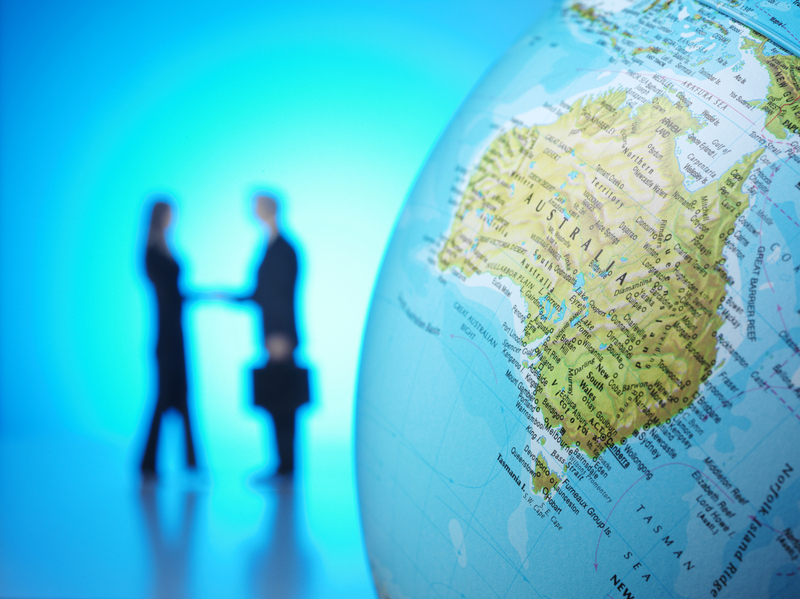 How have your Australian businesses gone and what have been the biggest challenges so far for them? I kicked things off with a recruitment focus having had many successful years operating in the senior marketplace but a year into our journey the GFC hit and everything changed, even in Australia, which was one of the most resilient economies. The business plan was reviewed and Luminant spun out in its own right as a boutique consultancy and advisory firm. That’s where most growth has come in recent years as recruitment becomes more commoditised. Having set my stall out with a quality above all mantra, I’ve no real passion to chase low margin recruitment business and with the quality of work that was coming through Luminant before taking on the Chamber role, I was fortunate to be able to be more selective around doing any search work. 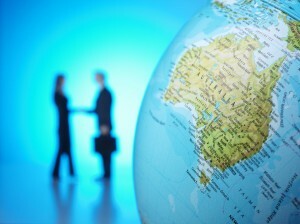 Since September 2010 you have been involved in the Irish Australia Chamber of Commerce (IACC) as the CEO. How did this come about and what is a quick overview of your duties and goals there? When I arrived in Australia I struggled to find any Irish business groups of note and the Chamber at that time was at a bit of a low ebb. As a disillusioned member, I thought I would drift away as things declined but a superbly executed “ambush” over lunch with a close friend and mentor, Paul Moynes, himself a past President, saw me convinced to take up a half day a week executive role under new President Brian Shanahan OAM. Things began to improve under a revitalised and talented board, some of whom I will admit to “volunteering” into service for the greater good, and in the four years since the Chamber has returned to its position of leadership and support within the Irish Australian business community. In recent months my role has expanded under our current President Rob Clifford and one of those original “volunteers” Fergal Coleman, who is now our VP. They and the board have solid plans to expand our offering and reach with the recent announcement of the inaugural Irish Australian Business Awards and the further expansion of our Business Mentoring Program . As someone who speaks to businesses from Ireland considering setting up in Australia what industries do you see as offering the most opportunities for overseas businesses at the moment? While the construction phase of many of the larger mining projects in WA is at an end, LNG is presenting many opportunities. On the east coast a multi-billion dollar program of infrastructure investment will create massive opportunity for engineers, advisors and project managers among others. From the IACC perspective what will be your focus for 2015? We will host over 1,000 for a St Patrick’s Lunch in March in Melbourne which will take a little bit of work! Apart from that, the Awards and Mentoring are likely to provide the bulk of non-event work before we host a trade delegation in May and further delegations later in the year. Given these dual roles, as a business owner and at the IACC, what would be your TOP 5 TIPS tips for migrating as a business owner or setting up an office in Australia? Do your homework before you arrive. Join the Chamber or an equivalent organisation – it’s a small investment that can save you lots of time and wasted cash! Appoint the best advisors you can as quickly as you can. Think outside the box for office space. There are lots of flexible solutions, shared workspaces and virtual assistance to be availed of. If you’re going to be spending a lot of time outside the office, do you need so much space? It’s an overhead that may not be necessary. In Melbourne in particular, when I was doing my own consultancy work, I’d say half my client meetings took place over a coffee, about 40% at client sites and only 10% at my building. On that basis, access to meeting rooms on a pay per use basis may be smarter than running your own to sit dormant. There’s some great talent here, don’t be afraid to hire good people and reward them well. On a final note I have a few more personal questions for you. Starting with what do you miss most about your life in the UK and Ireland? And how do manage this? It’s hard to be so far away from grandparents when you’ve got the only grandchild in the family! However, they love to come over for Xmas as the kids are off school for a long time, the weather is brilliant, the grandparents miss the worst of their winter and it gives us some time to slip away for a mum and dad holiday! And what do you and your family enjoy most about Australia? The family focus, outdoor lifestyle and limitless opportunities. Finally, what has been your proudest achievement since your move to Australia?